When YouTube first hit the scene in 2005, its founders didn’t have any idea what it might be used for. Early on, cofounder Jawed Karim populated the site with videos of 747s taking off and landing. What actually took off was Lazy Sunday, a Saturday Night Live skit that had already run on TV. Later on, it emerged that people really liked to watch cat videos, music videos and overexcited people talking about double rainbows. Now, 11 years later, there is a format of sorts for vlogging: The speaker starts out with “Hey guys, today we’re going to talk about … ” and then goes into one spiel or another. Having someone people recognize and become familiar with is important for appointment viewing. That’s why people tune into Jimmy Fallon every night or (a long time ago) waited for Walter Cronkite’s evening news show. Live is an unstructured format, but having a familiar face lead you through it helps make it more familiar. 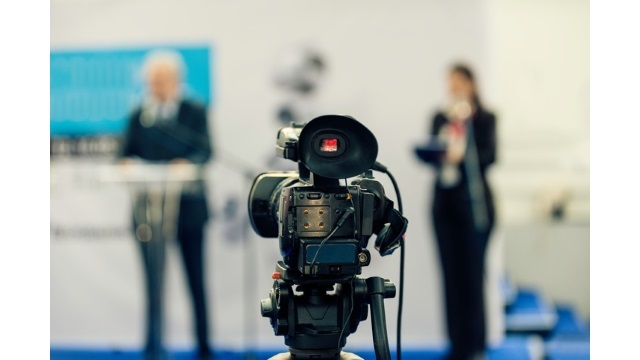 With livestreaming video, it is also key to have the host talking with the audience, not at it. Perhaps that’s because unlike TV, there isn’t much of a barrier between the talent and the audience. It’s usually just another guy or girl with a cell phone. Live broadcasting is all about a conversation with the viewers. Shows that work play off that engagement and aren’t afraid to change direction depending on how people comment and send virtual gifts. That’s the biggest difference between live video and canned video. With live, the experience is open-ended and you don’t know where it will go. If you don’t need people watching live to do the exact same thing, then you’re probably doing it wrong. Coming up with a live show format is like writing a choose-your-own-adventure book. Things can be as scripted as you’d like, and you definitely need a plan, but you should be willing to be flexible. Game shows are a winning formula. Take your favorite elements of game shows you watched and put your twist on them. Again, this takes into account the open-ended nature of live video. People tune into sports because they don’t know what’s going to happen and it’s fun to watch events unfold in real-time. The same is true of game shows. But in addition to gamifying the content, gamify the narrative of the show itself. Howard Stern used to read his ratings on the show so listeners got a sense that they were part of a growing movement. Getting in on the ground floor of a new live video show can be fun, too. Shows can exploit this narrative by celebrating milestones. When you break 5,000 followers, make a big deal of it and make a bigger deal about 10,000. There’s a phenomenon around every new medium: At first, no one has any idea how to use it well. Then someone comes along and makes the format seem obvious. This was what happened with Milton Berle in the early days of television and with vloggers like Michelle Phan and PewDiePie on YouTube. Khudor Annous is head of marketing and partnerships at Live.me, the live broadcasting platform from application developer Cheetah Mobile.